A very sneaky new malware Trojan virus hides in your computer and actually rewrites your online statements as you watch to hide evidence of theft. This hacking feat hides the evidence long enough for the malefactors to get away with your money. The new technique was deployed in over 6,000 PCs; the thieves stole over E300,000 in just three weeks. Computer experts are impressed by the sophistication of the malicious software. Computer fraud experts are concerned that the gang could steal millions per year with the malware. Science fiction fans have had their minds opened to the possibility of thieving hacks in a variety of movies and real-life situations that reflect them; see Teen Hacker Raises Grades Wargames-Style and Gangs Take PINs From Card Readers for examples. Cyber thieves should watch out, however - Cyber-Crime Cops Are Getting Organized. Fans of Stargate Atlantis may be thinking of the occasion when Asuran replicator's base code was altered in the episode "Lifeline". McKAY: The Holy Grail. I mean, it’s their whole reason for being. It’s a command code that directs them to attack the Wraith. SHEPPARD: Yeah, but they don’t attack the Wraith. They’ve been sitting on their nanite asses for ten thousand years. McKAY: Well, that’s because it’s been deactivated. SHEPPARD: You’re just noticing this now, huh? McKAY: This is just one in millions of commands in the base code. Look, I always had a hunch that something like this might be in there, but-but believe me, it was not easy to find. WEIR: Can you reactivate it? McKAY: Yes ... but there’s a problem. Look, I can reprogram the nanites in your brain and use that link to upload the changes, but we’ll need to wait for the next merge to affect all the Replicators at once, and we have no idea when that could be. Not only that, but the instant it happens, they’ll know you’re there. They’ll take immediate steps to assimilate you. SHEPPARD: Then we’re not doing it. McKAY: Whoa-whoa-whoa. Hang on. There may be another way. There’s a central data core -- it’s kind of like a back-up hard drive for all the Replicators. If I can upload the reactivated attack command directly into that, then we wouldn’t need to use Elizabeth. We could be halfway back to Atlantis when the attack command takes effect at the next merge. 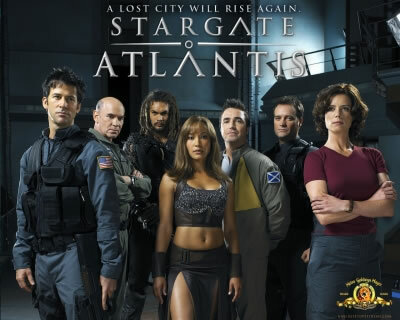 From New Malware Re-Writes Online Bank Statements to Cover Fraud; more about Stargate Atlantis: Lifeline. Thanks to Moira for the tip and references.